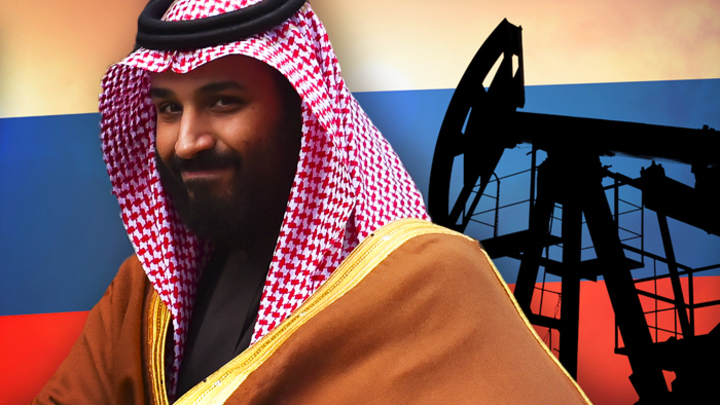 Crown Prince Mohammed bin Salman made a statement that Russia will completely lose its position in the world oil market in 19 years, its share will be replaced by Saudi Arabia. What gave the prince reason to say this, and does he tell the truth? Saudi Arabia today is one of Russia's most strong and responsible partners in balancing the world oil market. Moscow and Riyadh managed jointly to eliminate the imbalance of supply and demand in the world market and stabilize the situation. The OPEC + agreement to reduce production, concluded between the main oil-exporting countries and their non-OPEC partners, worked one hundred percent. It was assumed that a similar stabilization in the market would occur regardless of whether or not US President Donald Trump liked it or not, who criticized OPEC for the strong increase in oil prices and urged the kingdom to increase production. However, at the end of last week, the crown prince of Saudi Arabia, Mohammed bin Salman, gave a controversial interview with the American agency Bloomberg. The prince predicted a boom in oil demand and the prosperity of his kingdom at the same time that Russia can no longer play any significant role in the world market, since it will simply be eliminated from it. In an interview with Bloomberg, Mr. Salman said that Riyadh is waiting for a serious increase in oil demand in the foreseeable future. The world economy, he said, will increase the demand for "black gold" until 2030 at a rate of about 1-1.5% per year. Prince believes that the hegemony of oil in the world will not prevent even the growing demand for alternative sources of energy, such as electrical energy and electric cars. The disappearance of a number of players from the world oil market will be due to the fact that they will not be able to provide the previous volumes of supplies, the Saudi prince believes. Riyadh believes that China will drastically reduce production or disappear altogether from the market in five years. And other countries will also lose their status as oil producers. After 19 years, Russia, which is producing 11 million barrels a day, should lose its status. Perhaps Russia will completely disappear from the world market. In this regard, Saudi Arabia does not see any risks for itself, since it will begin to replace the share of its disappeared partners in the market. Prince also predicted an increase in oil demand in the petrochemical industry in the next 10-30 years. All of this, he said, gives virtually unlimited export preferences to Riyadh, which will benefit from such global market shifts. In August 2018, a new term appeared in the media space with the help of Bloomberg journalists: “Super OPEC”. Then Russia proposed Saudi Arabia to create a new oil organization that would make the composition of OPEC + permanent. The Super OPEC can enter 24 countries participating in the OPEC + agreement, including Azerbaijan, Kazakhstan, Mexico and Brazil. The body will have its own secretariat, currently the issue of the name of the organization and the location of its headquarters is being negotiated. The US and Western partners were expected against the new organization. They said that OPEC + actions were a temporary measure needed by the market, and the creation of such a tool on a permanent basis could provide Russia and Saudi Arabia with almost unlimited possibilities for manipulating the global oil market. As noted by the Arabic edition of Arab News, the situation in the Saudi Arabia market was amended only with the support of Russia, and there are many joint projects ahead of both countries. Arab journalists were then extremely enthusiastic about Russian and Arab composure in comparison with the emotional and destructive approach of the United States. However, since August there have been changes in the situation. Moreover, Saudi Arabia itself contributes to the unbreakable export-energy union of Moscow and Riyadh. The authorities of the kingdom are cunning when they say that they will increase production, in line with Russia. In fact, they are already doing this: contrary to the outcome of the negotiations between OPEC and Russia at the end of September, the kingdom met the demands of the US to increase production in order to lower prices. Although the head of the Saudi Ministry of Energy, Khaled al-Falih, said that the Saudis are not susceptible to pressure from the United States, the kingdom still wants to throw several hundred thousand barrels of oil on the world market daily. Saudi Arabia intends to increase deliveries in secret from its partners, and in which case it will announce the loss of Iran’s oil from the market, which is now replaced by Saudi oil. In addition, Riyadh, fears that the proposal will have to be reduced due to increased American oil production. If Washington throws its batches of oil onto the market, there may be an oversupply. Thus, the prospects of “SuperOPEC” are still vague, and Saudi Arabia clearly intends to earn extra money on new supplies. The political alibi is ready for this. Such behavior of the Saudis, among other things, will untie the hands of American manufacturers. Only Russia will be in the loser. But is the prince right? The prince voiced what is consistent with the calculations of the International Energy Agency (IEA) and the data that were previously cited by the Minister of Energy Alexander Novak. In particular, as of today, unfortunately, Russia is moving towards the loss of its oil export potential in terms of easily recoverable oil reserves. Now Russian companies are producing relatively cheap oil in a large number of Soviet fields with easily recoverable oil. However, stocks are depleted. The average production rate (production from a single source over a period of time) has decreased by 4% over the past ten years. At the same time, the country already conducts twice as many drilling operations, the cost of extracting one ton of oil increased 2.4 times in parallel with the increase in capital expenditures by 2.8 times. According to the Russian Ministry of Energy, this problem is extremely acute in Western Siberia, where most Russian oil is now produced. If the situation does not change, then Western Siberia will not produce 330 million tons of oil per year, but will reduce this amount by 2035 to 180 million tons. Novak added that these calculations correspond to the “medium” scenario, but if we talk about the toughest one, then we can talk about cutting production more than twofold - to 146 million tons. At the moment, the figures for light oil are not in favor of Russia. However, the government had previously approved the Strategy for the Development of the Mineral Resources Base until 2030. According to these, already domestic, rather than international, calculations, on the territory of Russia there are reserves of easily extracted oil for 20 years, and hard-to-recover reserves, on the contrary, increased to 65% of the total. In addition, the Rosneft investment strategy involves the allocation of up to 250 billion rubles in the development of the Arctic shelf. By 2021, the company intends to drill four wells on the Laptev Sea shelf and eight wells in the Kara and Barents Seas. According to preliminary estimates, in areas where Rosneft is drilling, there are about 9.5 billion tons of oil equivalent. In total, the Russian Arctic shelf is estimated at 20 trillion dollars and by 2050 should provide the country with up to 30% of its production. Most importantly, Rosneft and Gazprom have already received exclusive rights to operate the fields. Thus, the crown prince of Saudi Arabia is elementarily engaged in black PR, and yet he was quick to expose Russia from the world market. Prospects are always a matter of time and technology, and Russian companies are not stopping work on the exploration and development of new fields. These prospects primarily concern the Arctic and many other regions where hard-to-recover oil deposits are located. Moreover, the problem of extraction is facing Russia less and less - new technologies and the modernization of production methods come to the rescue. That is why the statement of Mr. Salman can be considered a political rather than an economic move. What remains open is the question of how, in the present conditions, Russia can trust its partners, who are capable of taking steps for the sake of economic gain, which are not going to benefit both other oil-exporting countries and the world market.